How Many National Parks Are There In The Canary Islands? The national parks of the Canary Islands protect and conserve the unique landscape, flora, and fauna of the archipelago. 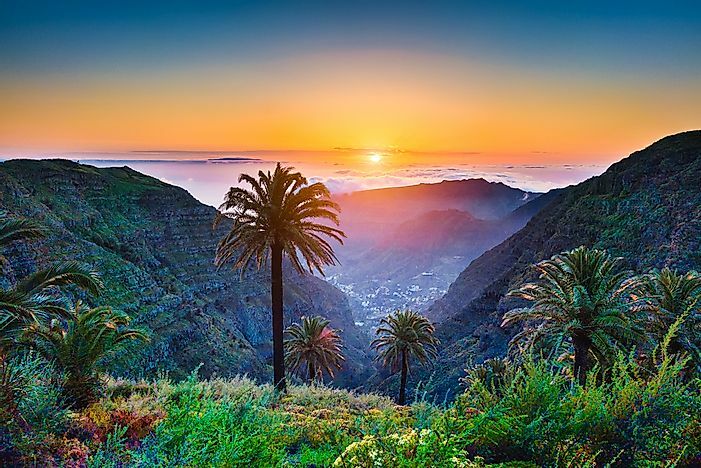 The tropical scenery of the Canary Islands. 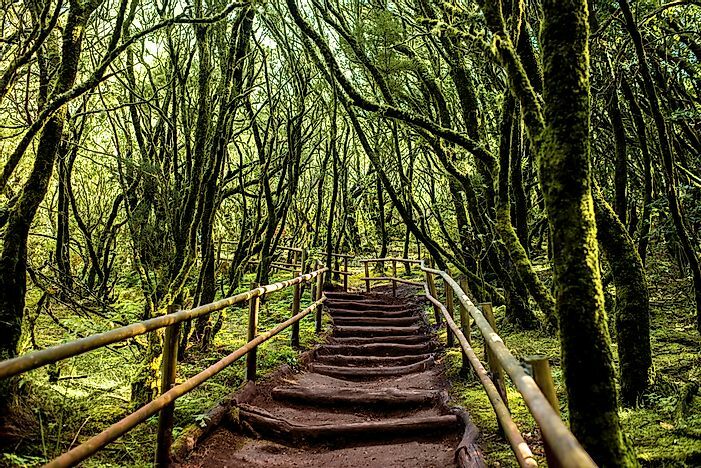 This national park is located in the La Palma Island of the archipelago. 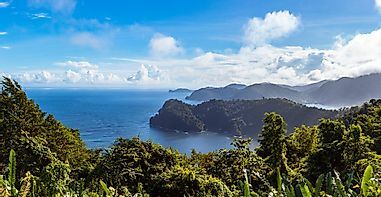 The 2 million years old Caldera de Taburiente is the dominant geographical feature of the island and was declared a national park in 1954. The volcanic caldera has a diameter of about 10 km with its walls being as high as 2000 m in some places. 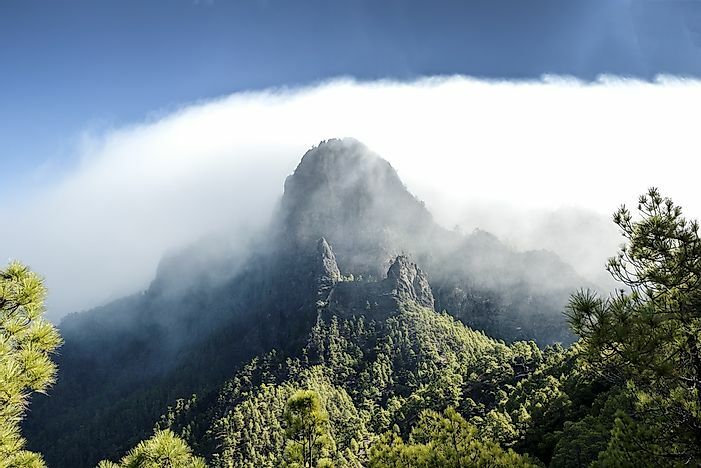 The Roque de los Muchachos is the highest point on the caldera’s walls and is 2426 m in elevation. Adding beauty to the landscape is the opening of the south-eastern parts of the caldera into the sea. A forest of Canary Island pine dominates the vegetation of the national park. Another important species of plant found here is the Canary Islands juniper which is an endangered species. The La Gomera Island hosts the Garajonay National Park in its central and northern parts. The national park occupies an area of 40 square km that covers parts of six of the island’s municipalities. The Garajonay National Park was designated as a national park in 1981 and a UNESCO World Heritage Site five years later. The highest point of the park is the 4,869 ft tall Garajonay mountain. 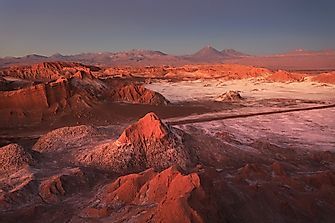 A small plateau is also a part of the national park. A very interesting but tragic love story is the secret behind the name of the national park and its peak. 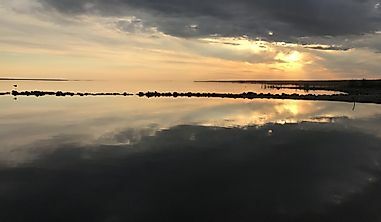 The Garajonay National Park is named after two lovers, Gara and Jonay who were forced to end their lives as they were not allowed to unite as their families believed their marriage would invite a bad omen to the island. The Garajonay National Park’s landscape is dominated by Canarian laurisilva forests with the flora species forming the laurisilva varying in different parts of the park. 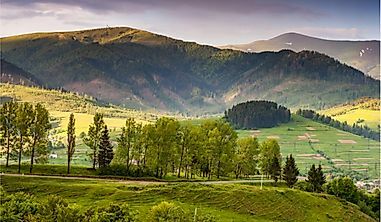 For example, valley laurisilva covers large parts of the northern humid valleys of the park while slope laurisilva which features less delicate flora is found at higher elevations in the national park. Large blocks of rocks which are weathered remnants of ancient volcanoes are also major attractions of the park. Trekking is a popular tourist activity here. The Garajonay National Park also features high levels of endemism. The Gomeran lizard and the Gomeran skink are endemic reptiles found in the park. The stripeless tree frog is a rare amphibian that can be spotted here. The park is also the best place in the archipelago to spot the Bolle’s pigeon and the laurel pigeon, both endemic species. 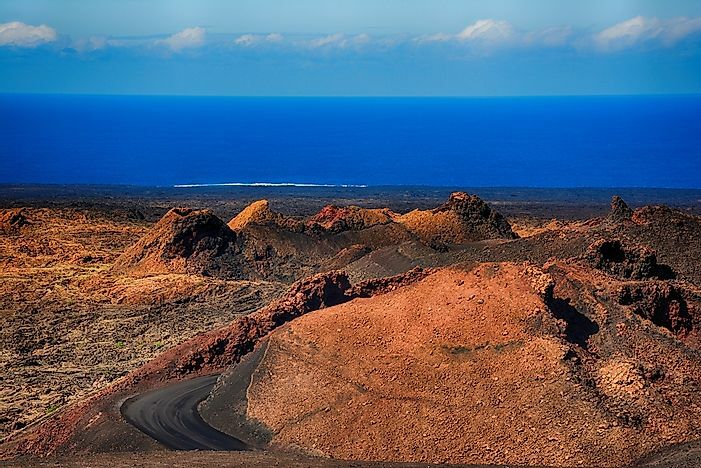 The national park is located in the southwestern section of the Lanzarote Island where it is part of the municipalities of Yaiza and Tinajo. 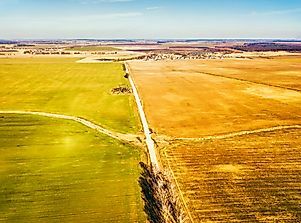 The park occupies an area of 51.07 square km. The park features the active Timanfaya volcano after which it is named. The land here is entirely composed of volcanic soil and volcanic activity continues to occur here. One of the special attractions for tourists visiting the park is the “geyser phenomenon” where water poured on the ground gives rise to a steam geyser. The Timanfaya National Park is part of a UNESCO Biosphere reserve that covers the entire island of Lanzarote. Large parts of the park are protected from human intrusion to protect the delicate flora and fauna living here. Tourists are allowed to tour the park along strictly designated routes only. Coach services lead from a public parking facility to the volcanoes for tourist-viewing of the volcanoes. 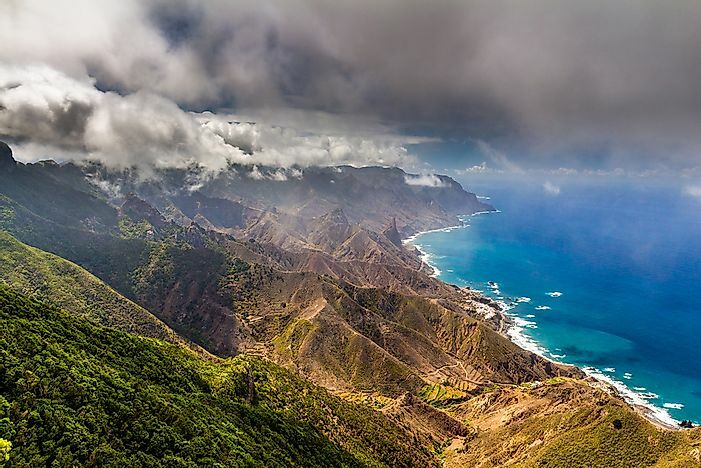 The national park is located on the Tenerife Island, the largest island in the Canary Islands archipelago both in terms of population and area. The 3,718 m high Mount Teide, a volcano, is the central feature of the Teide National Park. The mountain is the highest point in Spain. The park occupies an area of 18,990 hectares and is a part of the La Orotava municipality of Tenerife. The UNESCO declared it as a World Heritage Site on June 28, 2007. The Teide National Park is the eighth most visited national park in the world, and the most visited one in the entire European continent. In 2016, the park received 4,079,823 visitors, breaking all previous records. The Teide National Park was granted the national park status in 1954. It is associated with great spiritual and historical value. The indigenous Guanches hold the park in special regard and consider it sacred. The flora of the park is unique with the Teide white broom, Canary Island wallflower, and the Teide bugloss being the dominant plants. The colorful flowers of these plants lend great beauty to Teide’s landscape. The Teide violet is the highest flowering plant in Spain and is found right up to the volcano’s tips. The invertebrate fauna of the Teide National Park is highly diverse and includes 40% endemic species. Of these, 70 species are exclusively found in the national park. The diversity of vertebrate fauna living in the Teide National Park is, however, low. Ten species of birds including several endemics, three endemic reptilians, and bats are found in the national park.